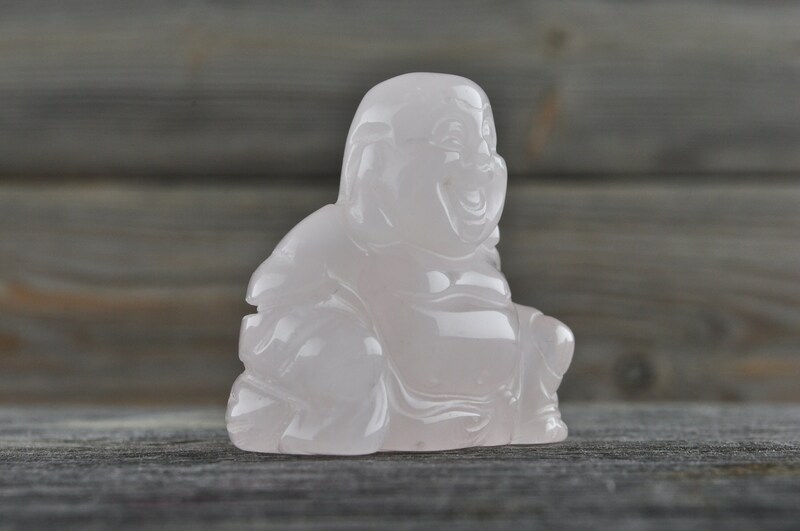 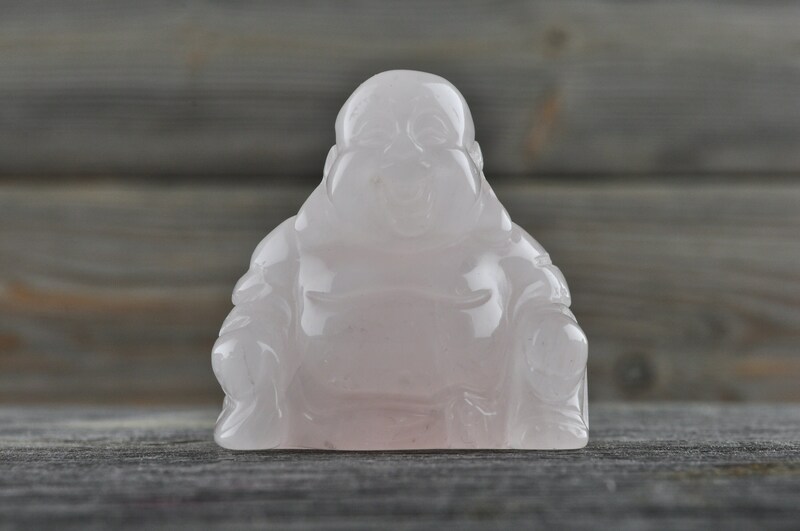 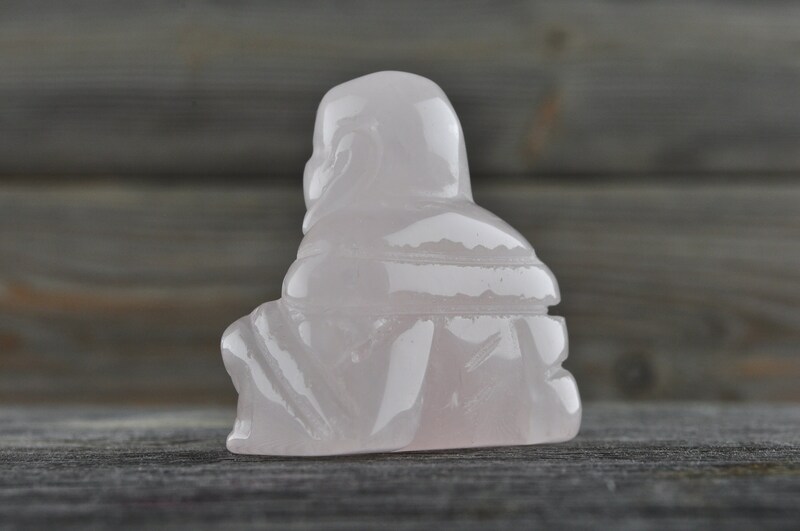 Beautifully carved, Buddha carving in Rose Quartz! 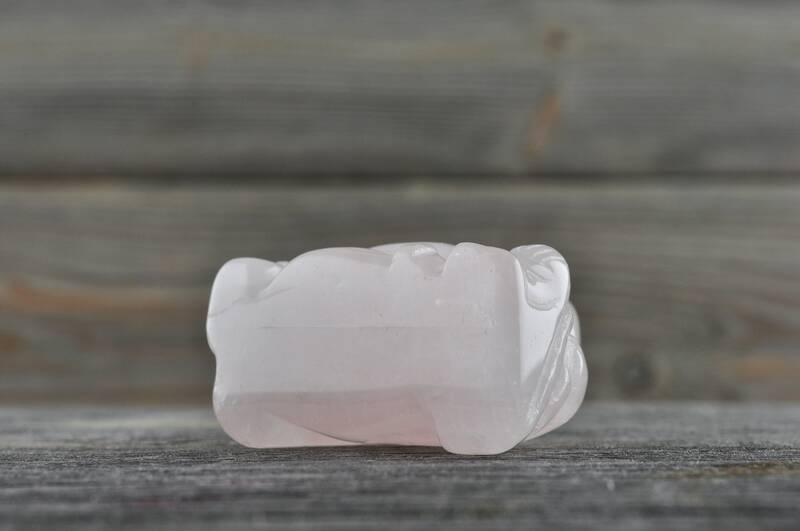 As a stone of love, tenderness and sensuality, Rose Quartz is a powerful aphrodisiac, stimulating sensual imagination. 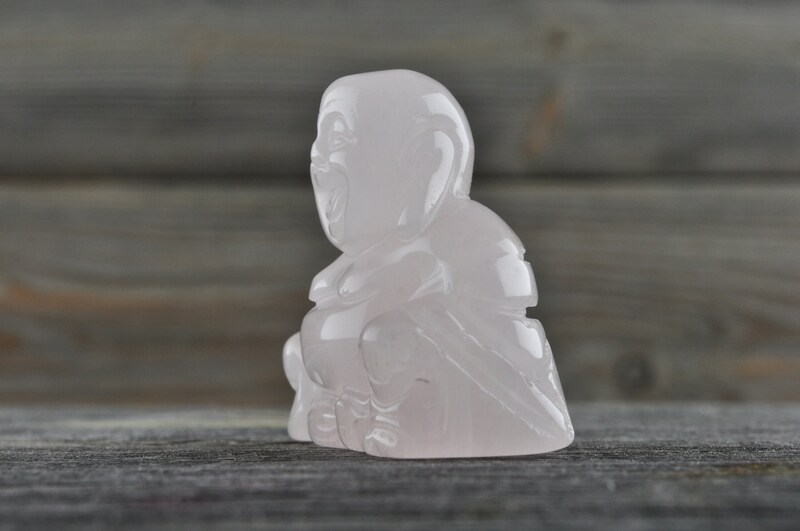 Rose Quartz is a wonderful sleep crystal for adults and children, providing beautiful dreams as well as preventing nightmares or night terrors. 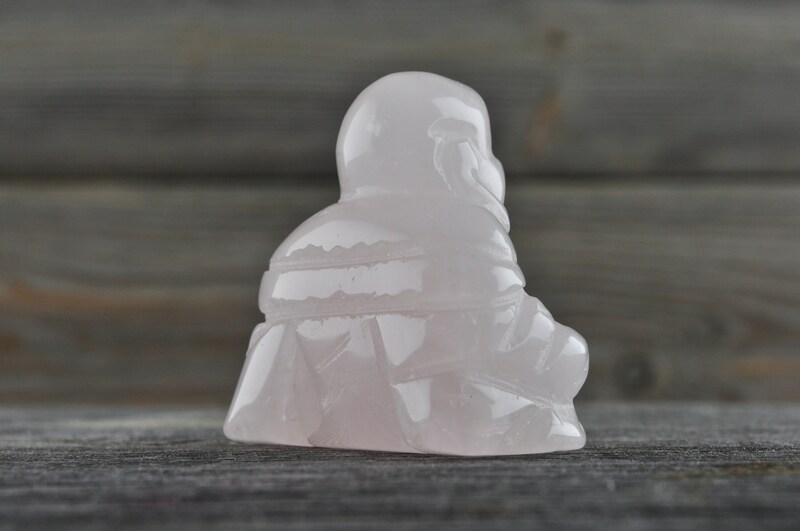 It also helps children to not be afraid of the dark. 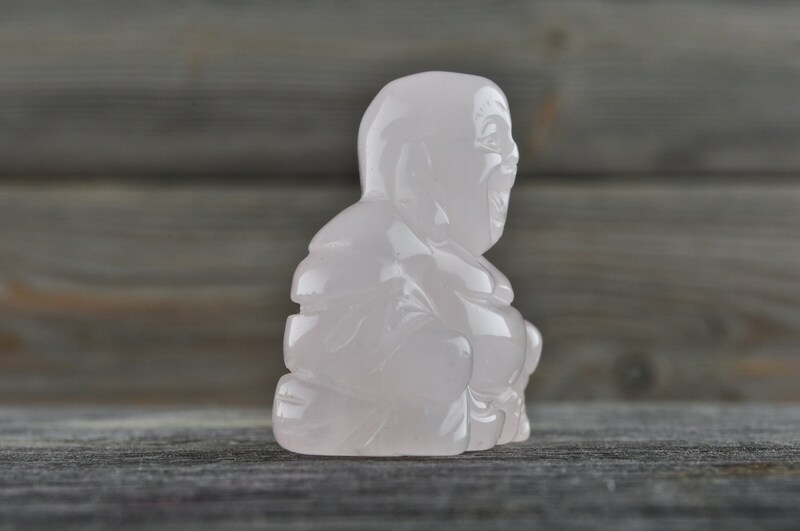 Rose Quartz is a calming and reassuring crystal, excellent for use in trauma or crisis, including the emotional upheaval of mid-life crisis. 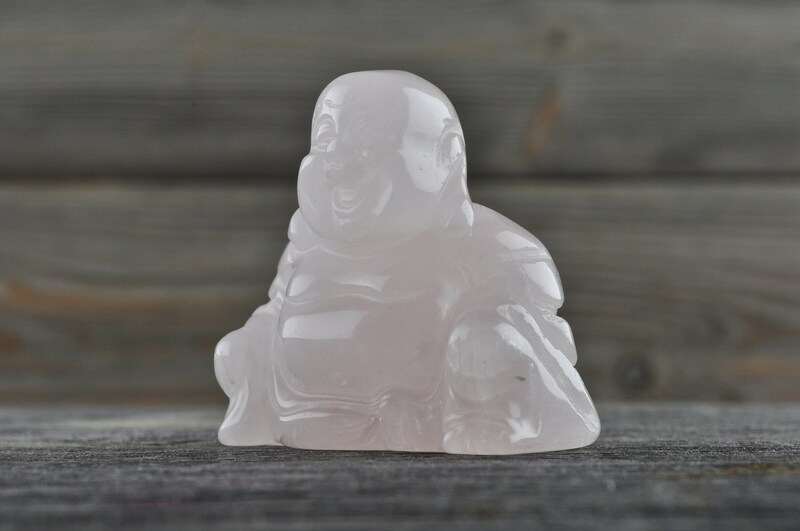 It strengthens empathy, sensitivity, and aids in the acceptance of necessary change. 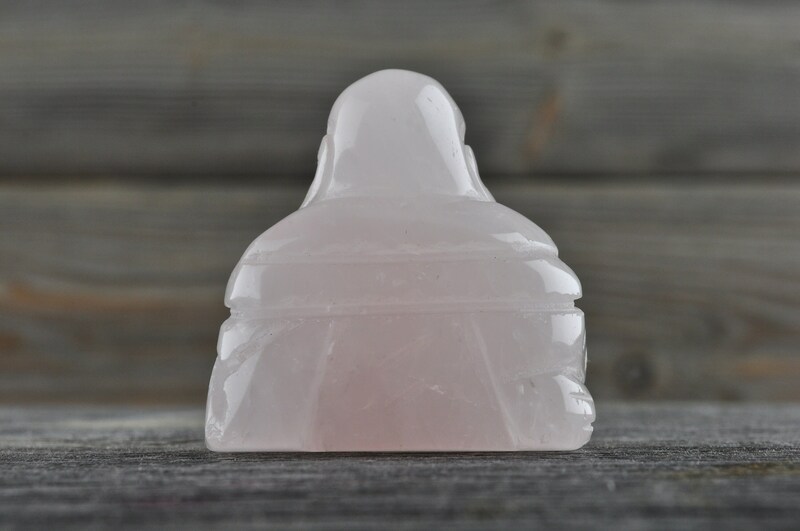 It is also an excellent stone for comforting grief.